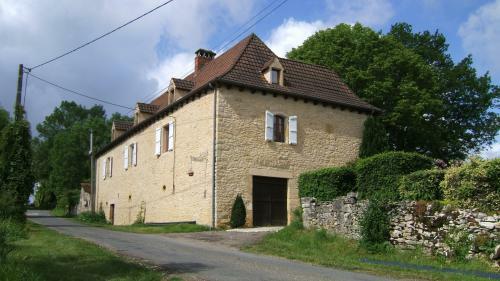 Charming stone house with 5 bedrooms and large garden. 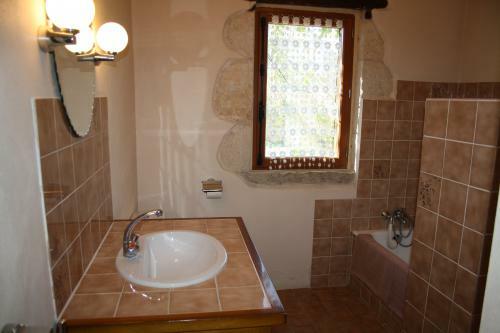 An ideal destination for friends or family - peace and tranquility guaranteed! 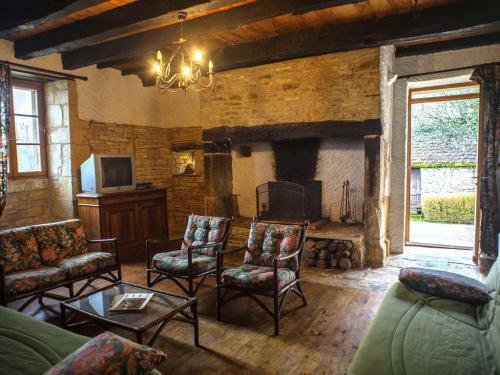 This lovely, traditional stone house is situated in a quiet hamlet of the southern Dordogne. 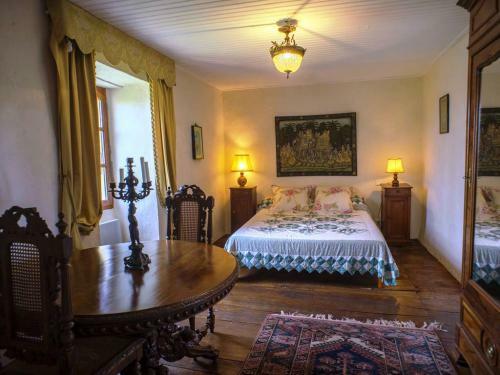 The house is full of character and offers spacious accommodation for up to 10 guests. 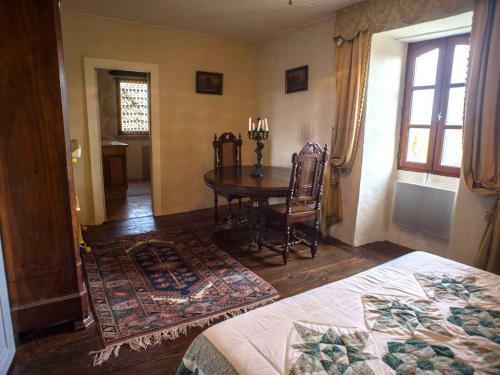 Traditional furniture, tiled and parquet floors, exposed beams and stone walls combined with reversable air conditioning/heating units, it is ideal for rentals in summer, and mid season. 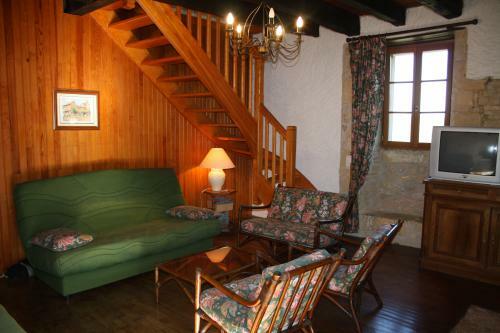 - the living room offers sofas and armchairs, open fireplace, TV and lamps and a sideboard. 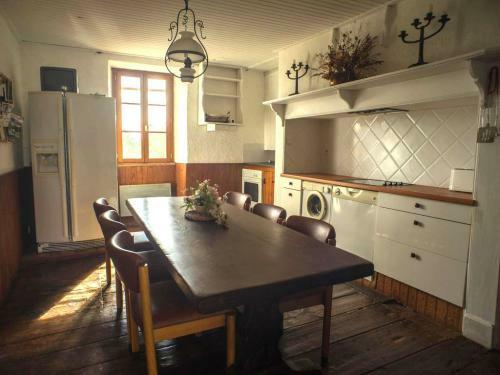 - the large dining kitchen, with its farmhouse table and chairs seating 10. The kitchen has all the necessary equipment: fridge freezer, dishwasher, vitroceramic hob, coffee machine, kettle, toaster etc. A french door leads onto the veranda at the rear of the house, equipped with a table and chairs. 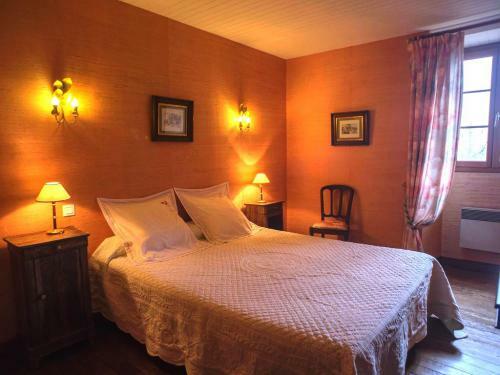 - the master bedroom suite has a large double bed (160cm wide), wardrobe, bedside tables, lamps and a lovely wooden table and chairs. 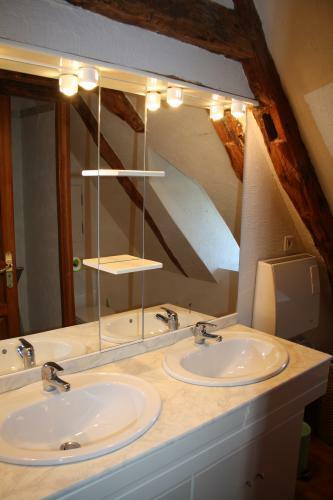 - This bedroom benefits from an en suite bathroom room with bath and tiled shower, toilet and washbasin. 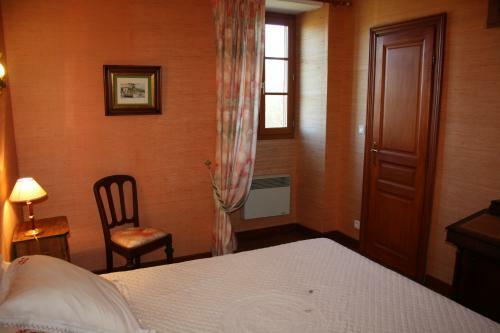 - the yellow bedroom also has a large double bed (160cm wide) a large wardrobe, dressing table, bedside tables and lamps. 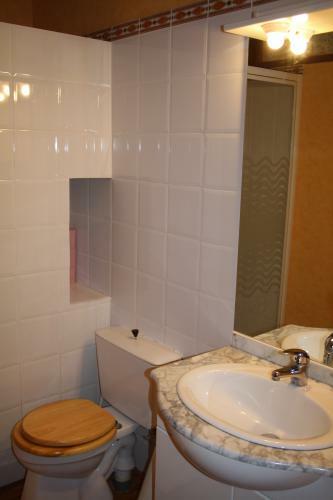 - a separate shower room with shower, washbasin and toilet completes this floor. 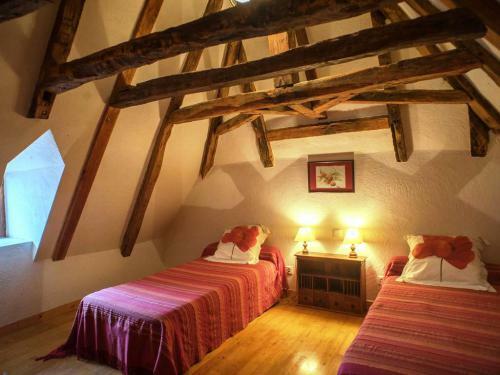 - each bedroom offers two single beds, bedside tables, storage, parquet floors and wonderful high ceilings with exposed beams. 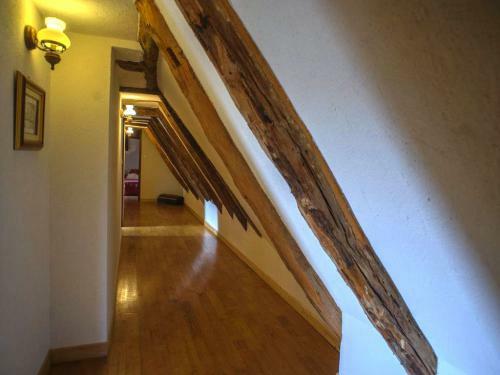 All of the top floor bedrooms have a recersable air conditioning/heating unit. 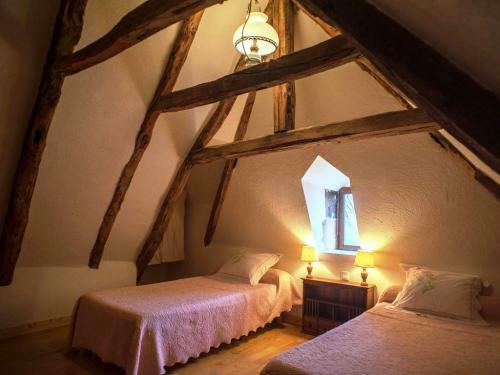 ** The bed linen and towels are included in the price, and a Cot and high chair are available on site for our younger guests. 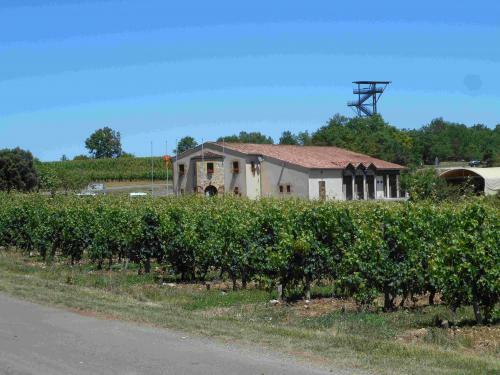 Les Trois Chenes has the advantage of having a large private garden, planted with roses, vines and raspberry bushes. 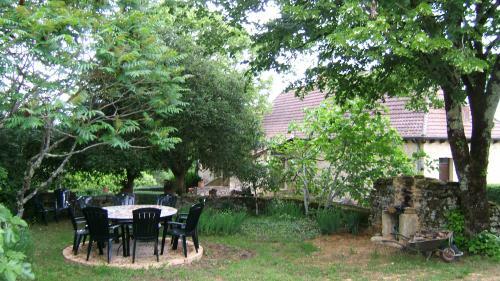 There is a teak table and chairs and barbecue for al fresco dining under the shade of the established trees. 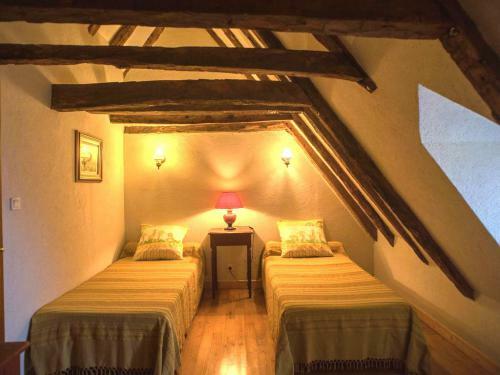 Bouzic lies in the rural heart of the Perigord Noir. Whether canoeing under the shadow of castle topped cliffs, savouring a river cruise, walking through endless woodland or experiencing un-touched village life, this historically impressive area of France has something for everyone. 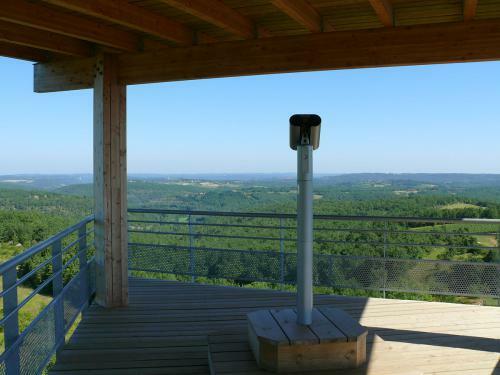 The region of Perigord is also justly famous for its cuisine with plenty of restaurants just a short drive from the charming village of Bouzic. For every day shopping the nearest Spar type shop is in St Pompon 3km away. For larger weekly shops, Gourdon and Fumel have large supermarkets-Intermarche, Champion, Leclerc etc and a wide choice of bakers, butchers etc. The markets are great fun and Cazal (Sun), Prayssac (Fri) and Cahors (Wed) are our favourites. 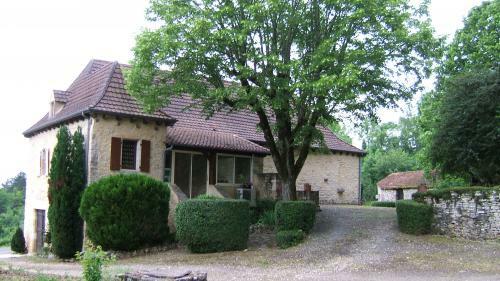 The nearest beaches are on the Dordogne and are a short drive 7-10km away. End of stay cleaning service si included.